Plethora of information on Zika virus from @CDCgov!! The CDC website has tons of info on Zika virus, both for travelers and others. Definitely check it out for up to date information on cases, and the outbreak itself. Our just for information! Including the infographic below, and about 10 more!! The point is, much is still not known about the possible relationship between the Zika virus and microcephaly. There is evidence that the two conditions are positively correlated within certain areas of Brazil and possibly French Polynesia. While strongly suspected, scientists and health officials have little direct evidence to support a causal link, but that’s due, in part, to the nature of Zika and microcephaly diagnosis. Lastly, Zika does appear to target the brain, but some scientists say much more mechanistic research needs to be done to confirm a causal link between the virus and microcephaly. In short, much is still unknown about Zika, microcephaly and their possible link. The WHOdeclared the outbreak a public health emergency for precisely this reason — to “coordinate international efforts” to better understand the two conditions’ potential relationship and to control Zika’s spread. SciCheck also has the answer to people who might think the recent spread of Zika might be related to GMO mosquitoes (which it is not). Read the full article for the background on both the rumors and the GMO mosquitoes themselves, which are pretty awesome!! Stephen Cain explains the #SCIENCE of riding a bike!! 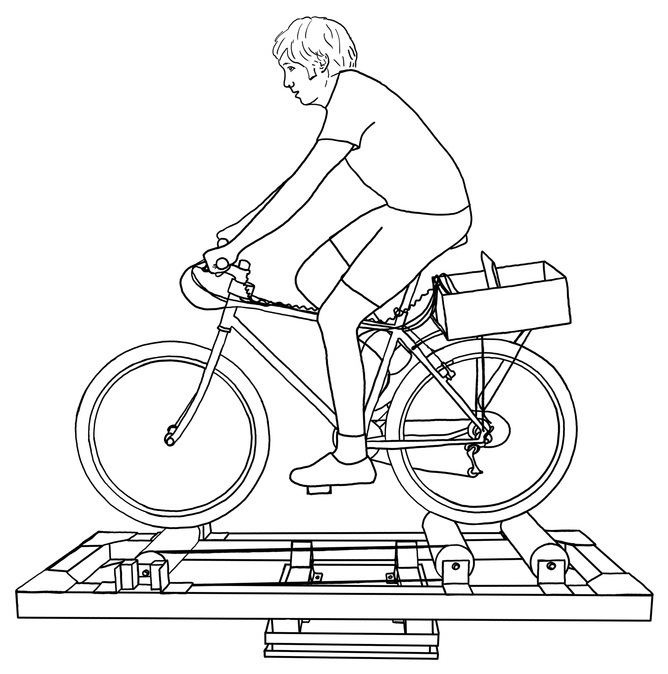 A subject riding the instrumented bicycle on training rollers in our experimental setup.